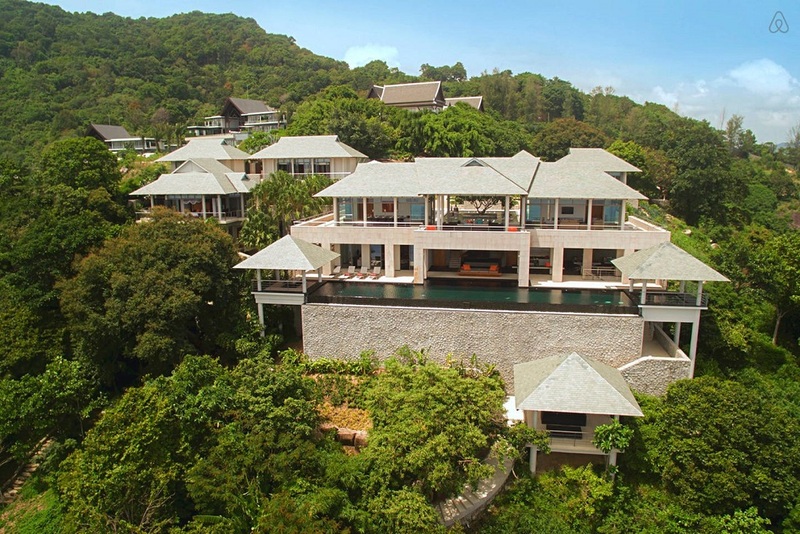 ‘Baan Paa Talee’ is located on a cliff in the Cape Amarin Estate overlooking the Andaman Sea on a headland between Kamala and Patong in the southern province of Phuket, Thailand. The neighborhood has become one of the most sought after addresses in the area, situated just 10 minutes’ drive from Patong, 15 minutes’ drive from Surin, and 45 minutes from the local airport. Phuket is known for its lush beaches, rich cultural history, Sino-Portuguese architecture and museums; so you definitely won’t run out of things to do in this part of paradise. 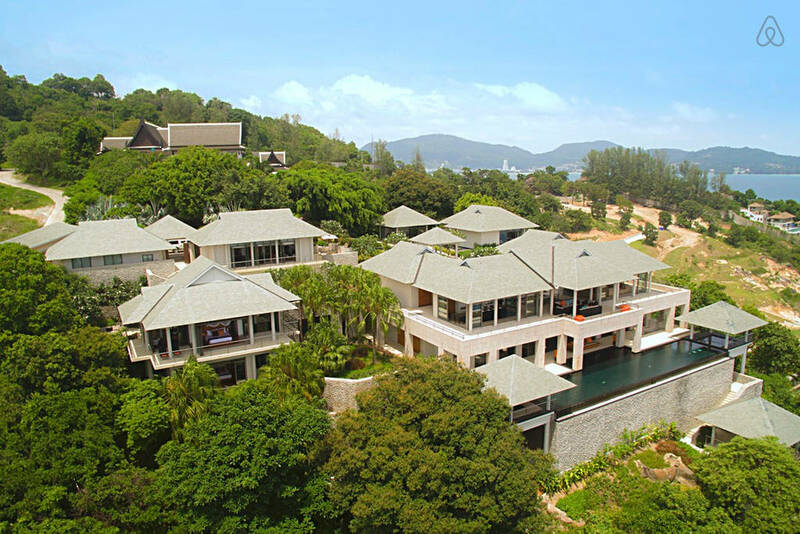 ‘Baan Paa Talee’ was designed by renowned architects Arte Charpentier. The nine-bedroom villa has panoramic views of the sea from each bedroom, eight bathrooms, huge common areas, grand halls, an outdoor patio, a gym, theater room, recreation area, dining room, and an infinity pool. Even from the kitchen, guests will feel close to the sea and hear the waves crash against the large boulders surrounding the property. All the essentials are taken care of like WiFi, AC, Cable TV, and washing facilities. Staying at the villa will also give you access to luxuries including a daily cleaning service and gourmet chef. Visit the Airbnb website to book your stay in this luxurious retreat.